The 2019 OHL Priority Selection has come and gone and although we still do have the U18 draft to look forward to tomorrow evening, it’s time to put a nice tidy little bow on the events from this past Saturday. In total, 40 players from the Alliance were selected on Saturday morning/afternoon. That included 25 forwards, 12 defense and 3 goaltenders. The 40 player mark is right around the average of where the Alliance normally is in terms of players selected. Since the 2015 OHL Priority Selection, the average number of players is 40.4. In terms of Alliance teams, it was the London Jr. Knights who led the way with eight players selected. The Jr. Knights continue their trend of having the most players selected from their teams of all Alliance centres. The final series to get underway this season is the top ranked Cambridge Hawks taking on a Chatham-Kent team that battled hard at the end of the season to secure the eighth seed. The Hawks rolled through the Alliance regular season, falling just twice through 33 games Cambridge had a roster full of talent from offense to goaltending. Chatham got points in six of their final eight games to propel them into the postseason after a tough battle with Kitchener and Lambton. 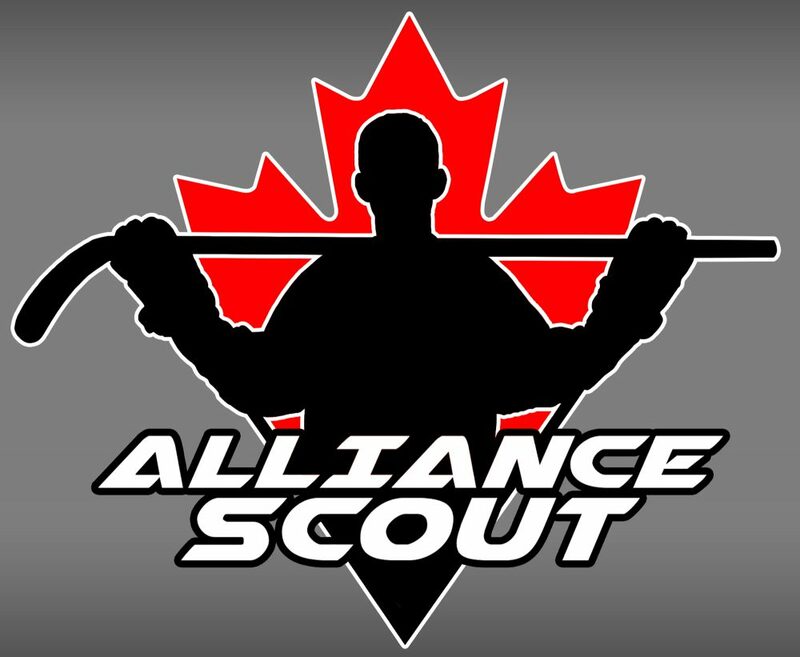 Here we are, back at it with the second section of the inaugural Alliance Scout Player Rankings for the 2017/18 season. This list will bring us all the way to the top five and has some players who will be able to make a run at a top five position based on their play in the last few months of the season heading into the OHL Draft in April. Onuska is the lone goaltender to make the rankings in its first format. While there were a few goaltenders in the discussion for top netminder in the assocation, Onuska has done plenty to distance himself for the pack. Onuska has size on his side, already standing over six feet tall. He’s also incredibly agile for a bigger goaltender and rarely gives up bad rebounds. Onuska has been a key in the Wolves recent march up the Alliance standings.